This is a sort of continuation of this post in which I suggested good books to start with for people just starting out in Young Adult Literature. 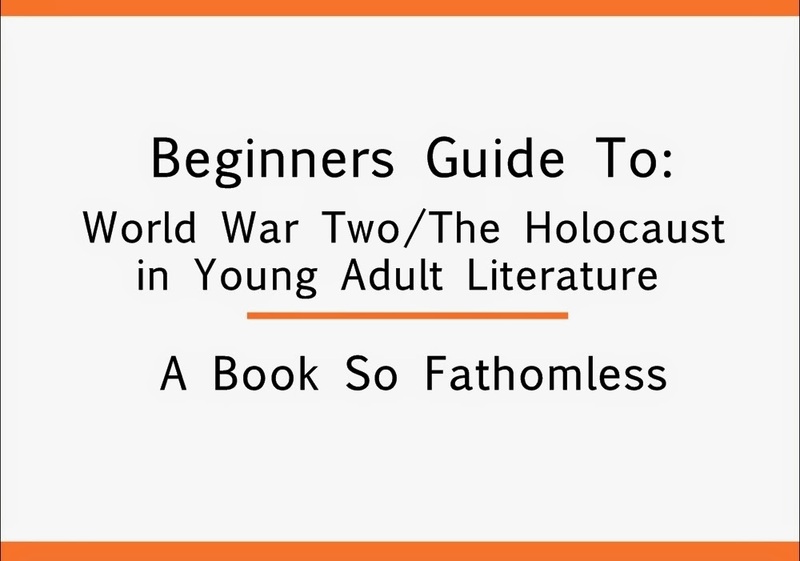 Today, I’m talking about one of the areas in Literature (not just YA) that I am most interested in – World War Two/The Holocaust novels. Some of these might not actually be classed as ‘YA’, but I decided to mention them anyway. Let’s start! Even if you’re not interested in this era/subject, I seriously believe that everyone in the world should read this book at least once. It’s a true story (which I’m sure you all know) which means it’s incredibly moving, and yes, it will absolutely rip your heart out of your chest but you have to have to read it to understand. This is probably the book that has most affected me so far in life. I’m sure you were all expecting this one so I thought I’d just get it out of the way now. Don’t get me wrong, I adore this book and I highly recommend it to everyone and the film too. Again, your heart will break but it’s worth it. I mentioned this book in my original post, but I wanted to mention it again. I’m going to admit right now, as much as I love The Book Thief…I prefer this. The stories in both books are incredibly different as is the writing, but there’s something about this one that causes this deep, uncontrollable ache in my chest that rivals Anne Frank’s diary. I don’t know how else to convince you all to read this. I thought I’d mention one that isn’t nearly as well known as the others. Suzy Zail is an Australian author which means this story holds an extra special place in my heart. This one is a little bit lighter than the others – it’s still powerful, but it’s doesn’t completely ruin your life. It’s the perfect book for when you want just a little sadness, not a ‘stay in bed all week and cry’ kind of sadness. You wouldn’t believe how hard it was to narrow it down to these five books – there were others I wanted to mention and ones I haven’t even had the chance to read yet. Basically, I’ll be doing another post in the future about more Holocaust books.